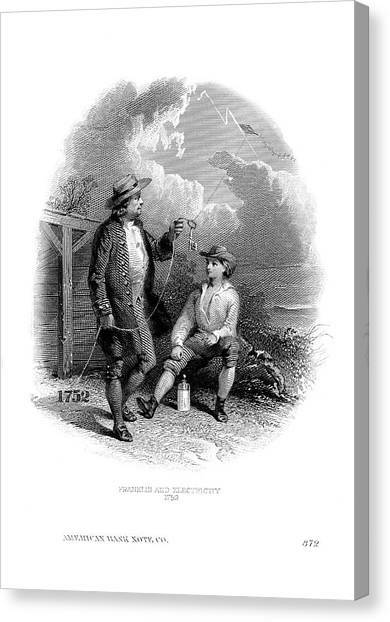 Franklin's Kite Experiment is a photograph by American Philosophical Society which was uploaded on July 24th, 2016. 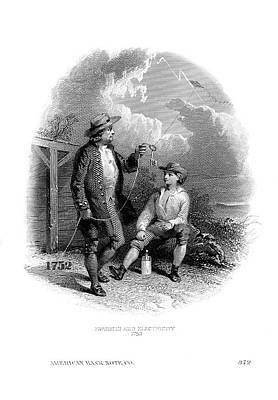 Franklin's kite experiment. 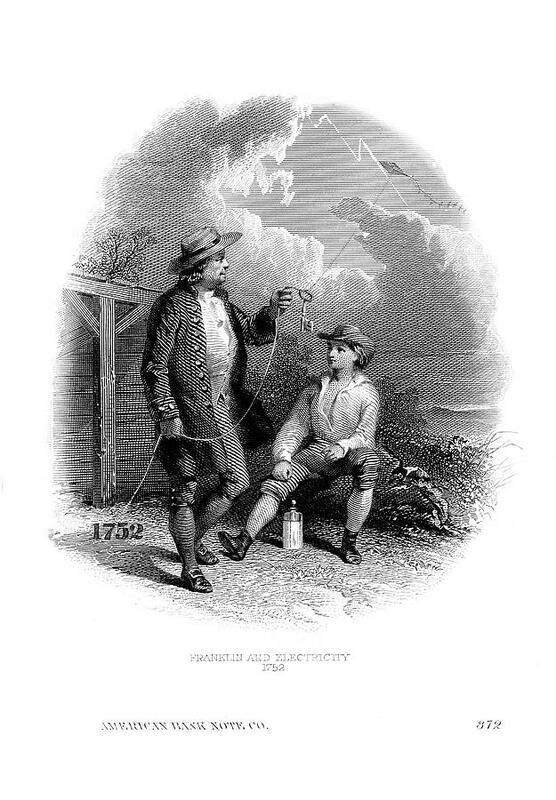 1752 illustration of Benjamin Franklin flying a kite in an electrical storm. 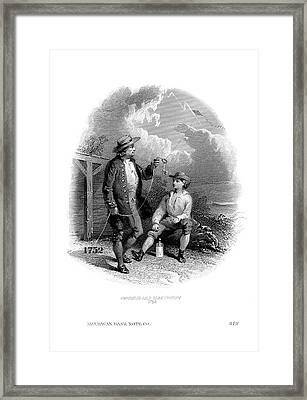 Franklin (1706-1790) was one of the Founding Fathers of the United States. 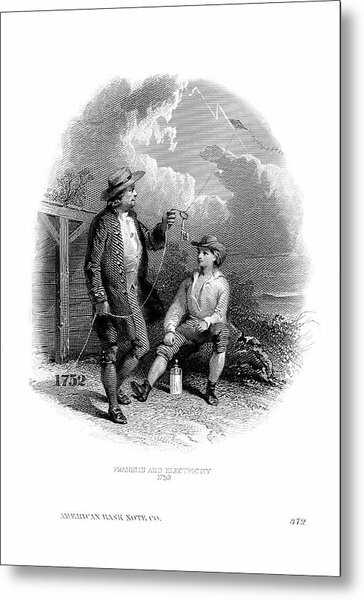 He proposed and may have conducted experiments with a kite in a thunderstorm to show that lightning is electricity. This led to his invention of the lightning rod to protect buildings from lightning strikes. He also invented fins for swimming, bifocal glasses, a urinary catheter and showed that evaporation cooled objects. He helped shape the American Revolution and was a signatory of the US Declaration of Independence. 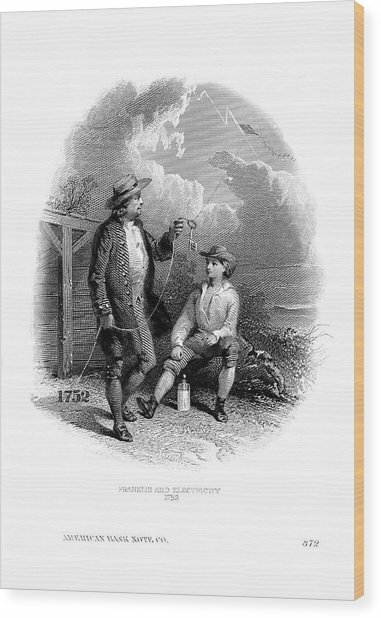 There are no comments for Franklin's Kite Experiment. Click here to post the first comment.